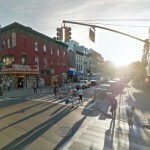 Two drivers were arrested following an early morning crash on the Nassau Expressway, which involved five vehicles and tragically claimed the lives of a recently engaged couple – Yisroel Levin OBM of Flatbush and Elisheva Kaplan OBM of Far Rockaway, New York. 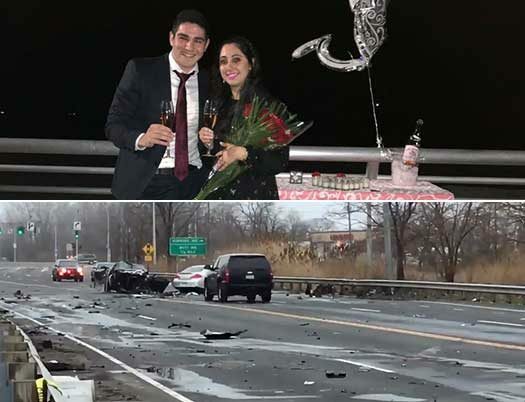 A horrific and tragic crash claimed the lives of a young and recently engaged couple Yisroel Levin OBM of Flatbush and Elisheva Kaplan OBM of Far Rockaway, New York, and seven others were injured. The crash occurred on the Nassau Expressway, which runs alongside JFK airport between the Borough of Queens and the Five Towns in Nassau County, at around 1:30am. Police have reportedly arrested two of the drivers. The fiery chain reaction crash left a trail of wreckage and debris across 800 feet of roadway and caused two of the cars to burst into flames. One vehicle, believed to be the one that the couple were traveling in, was completely consumed by the flames. Police are still investigating the cause of the crash. Two people have been arrested, officials said; the exact charges weren’t immediately clear, but investigators said they’re looking into the possibility of drunken driving. It was also extremely foggy in the area at the time of the crash. A number of Jewish organizations were on scene and tended to the issues of Kavod HaMes including Achiezer and Chesed Shel Emes. According to Yeshiva World News the couple had gotten engaged a few weeks ago and were set to be married in two months. Yisroel is survived by his parents Rabbi and Mrs. Shaya Levin of Flatbush (Ave R), and siblings: Shmuel Dovid, Eli, Yaakov Levin, Dovi, Yoel Levin, Ephraim Mordechai, Faigy (Jacobson), Chaya Raizy (Horowitz) and Itty Levin. Tragically, Yisroel’s brother Ari OBM was Niftar just two years ago. Elisheva is survived by her parents Mr. and Mrs. Joel Kaplan of Far Rockaway (Beach 6th Street) and siblings, Mosey, Meir, Avrohom Yochanan and Yitzchok. The Levaya for both Niftarim will be held on Erev Yom (Thursday) at Yeshiva Darchei Torah Bais Medrash, 257 Beach 17 Street at 11:00AM. The Kevura for Elisheva A”H will be on Erev Yom Tov at beth David Cemetery (Elmont, NY). 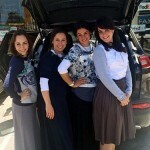 The Kevura for Yisroel Z”L will be held in Beit Shmemesh, being flown to Eretz Yisroel on Motzei Yom Tov. ברוך דיין האמת Can someone post their full Hebrew names so I can dedicate Shiurim in their memory? Gevalt. 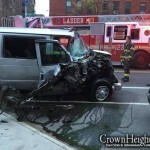 What a tragedy for these kids, their families and klal Yisroel! We need to do something to end this crazy galus!